This pattern includes written instructions, no charts. Needles: 16” US 4 (3.5mm) circular. 16” US 6 (4mm) circular. US 6 (4mm) double-pointed or size to obtain gauge. 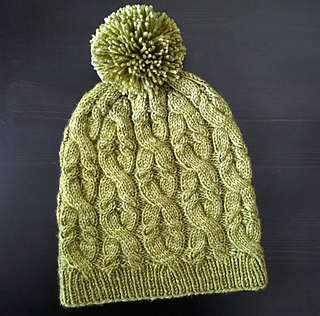 Gauge: 30 stitches and 34 rows over 4” / 10cm in cable pattern on larger needles. Each pattern repeat measures about 3.75” wide after blocking.